Often I forget how lucky and fortunate I am in life, but I tend to rely on the old cliche of “putting yourself in someone else’s shoes as a way of reminding myself just how good I have it. But thinking in that way, I started to wonder about all the different facets of my life—the different shoes I wear, and all the different things I do. I’d like to share some of them with you now. 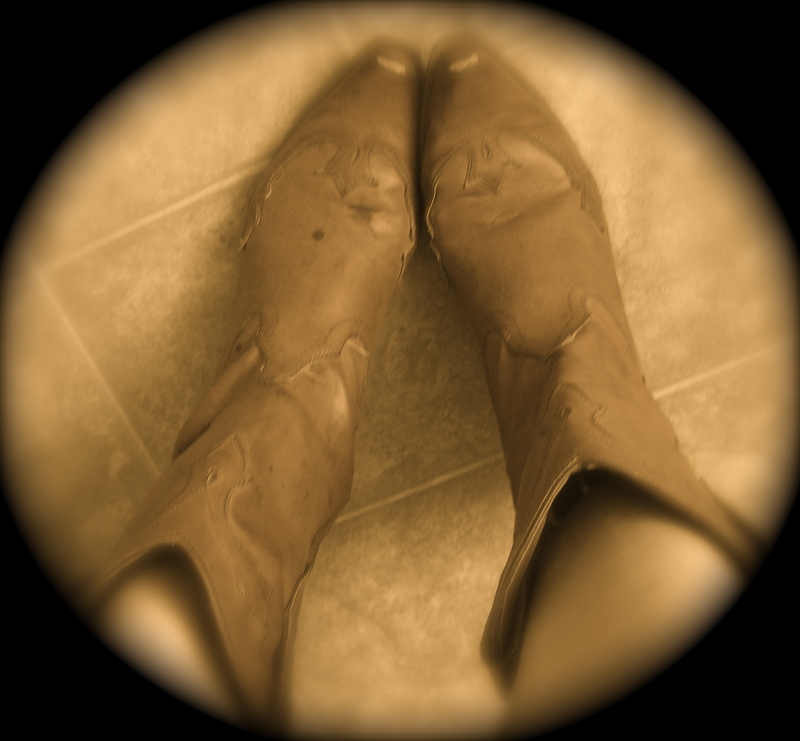 Firstly, the cowgirl boots. I don’t wear these often. They are scuffed and stained and worn, but I love them even more for precisely those reasons. They remind me that, at heart, I am a girl who grew up in the wild west of California, and while I am a little bit rock n’ roll it’s true, I am also a little bit country! Secondly, the pointe shoes. These are the shoes that I spent hours and years training to get. Then they became the shoes I spent years training and dancing in…they have caused me an abundance of pain, yet I still love them. I still marvel at the things I have learned to do in them. I still love to get a new pair and see the shiny peach satin. They really are magic shoes and I love to dance in them. My feet actually feel the most natural when I have my pointe shoes on! Thirdly, my Mary Jane heels. Mainly because they are cute with a capital Q! Fourthly (can one say fourthly?) my fake Uggs. I wish they were real, but whatever, these do the trick. I have to say that when I first saw a girl wearing Uggs with a skirt I thought it was a horrific fashion trend that should never have graced God’s green earth. 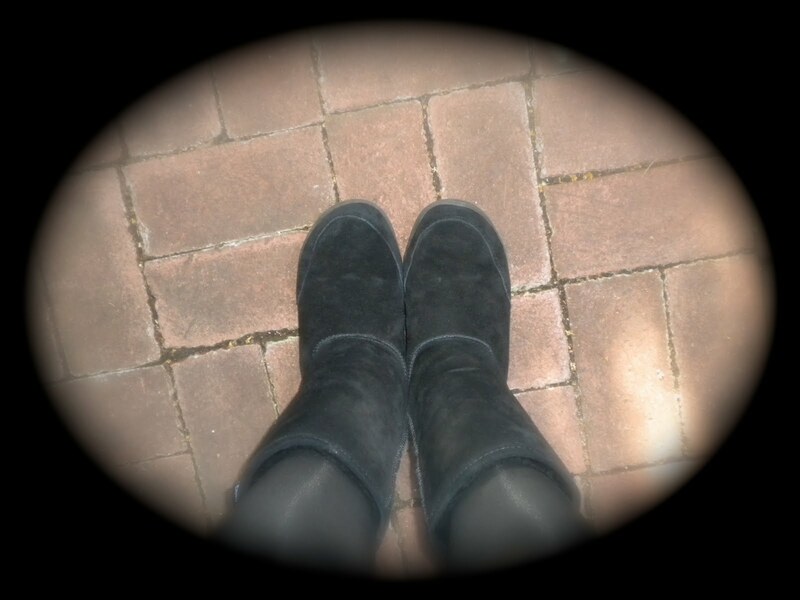 But then I tried on the Uggs and my life intrinsically changed forever! Wonderful post – I love it. 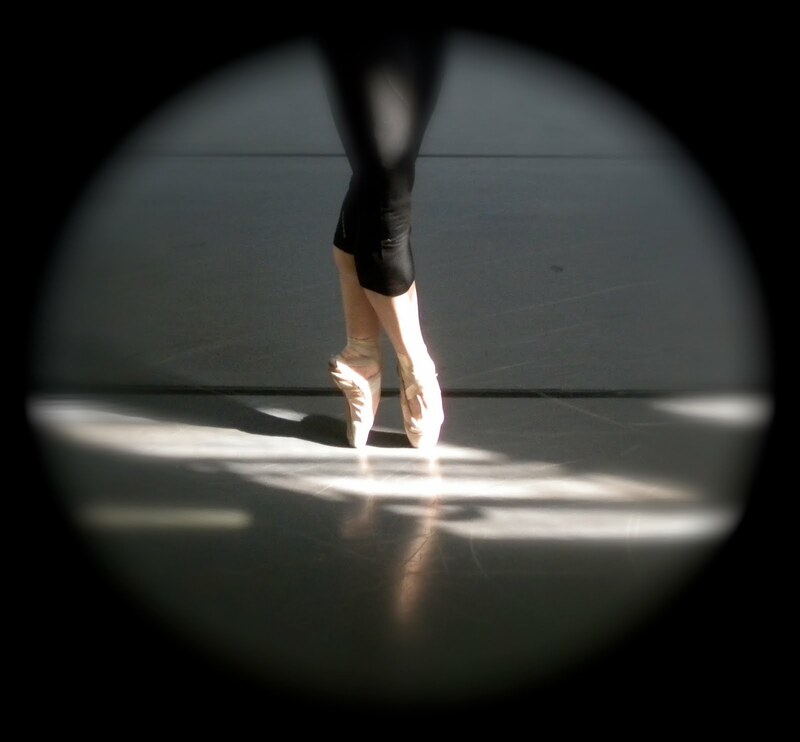 I haven't worn pointe shoes in nearly five years now, and I really, really miss them. Being thankful is a wonderful thing…I love how you used your shoes to convey that! This is SO crazy, but I've been wanting cowboy boots for almost 10 years. For some silly reason, I don't think I'll fully feel like *me* until I'm wearing a pair. Crazy.